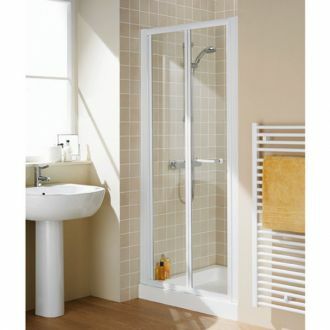 The Lakes Collection offers a range of Shower Enclosures designed to complement any bathroom interior. 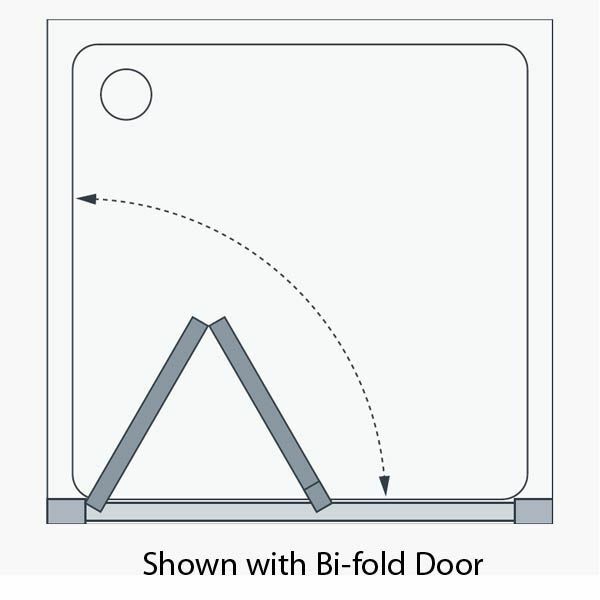 This high quality Semi Frameless Bi Fold Shower Door has a large range of sizes to suit most applications.The elegant looks and effortless function are created from the finest materials, featuring 6mm Toughened safety glass throughout and all backed by a lifetime guarantee against manufacturing defects. Now the glass within this product has a special coating called "AllClear", this exciting new technology helps keep your new Shower Door looking newer for longer. High quality aluminium, polished silver anodized or white gloss frame. Revolutionary AllClear glass protection - for more info on AllClear click here. Extension profiles are available which add 30mm to the adjustment range. Suits both Left Hand and Right Hand openings. Lifteime guarantee on manufacturing defects. Please note: The AllClear coating is not covered by the lifetime guarantee.